Tamura is sporting a dyed red mohawk that only further confirms the fact that New Japan is right that rookies shouldn’t adopt a personality until they return from excursion. Match starts off slow with everyone getting a quick chance to tag and work headlocks and basic standing holds. The match finally picks up when Okada and Aoyagi are in there. The rookies get a chance to shine as they isolate Okada and work him over and all hit him with dropkicks. Okada soon after gets Omori in a crab hold for the win. This was a fun match. Lee and Yoshitatsu start with some chain wrestling and strike exchanges. Yuma Aoyagi eventually gets to play the role as the face-in-peril, and as I’ve said before he’s the best in the company in that role. Lee and Sai also deserve credit for brutalizing him well. I loved this match from the very beginning where James and Zeus get right into a chop battle. Then we get Doering and KAI in there with KAI using dropkicks to try to neutralize his much bigger opponent. The Juniors are next. Maruyama and Akira are basically in an extended rivalry. They have good chemistry together, and Akira’s only win during February’s Jr. Battle of Glory Tournament was over Maruyama. Akira has been a delight to watch. He can fly, he works the crowd and in this match, he sold Zeus’ chops like he had been shot. We got another round of the hosses battling each other with big strikes before it comes down to Doering and Maruyama where the match ends on a flat note. Dylan has Zeus neutralized on the outside so Akira jumps on the ring post on the outside to Moonsault on to KAI. He falls from the post but lands on his feet before jumping right back up and hitting the Moonsault on KAI. This followed the basic structure of a wily veteran vs. a young up and coming talent. Suzuki took control early and through Iwamoto out of the ring. Iwamoto eats a DDT on the floor and when they return to the ring Suzuki works him over some more with strikes and holds. Suzuki botches a Twisting Body Press but it doesn’t stick out like a sore thumb because Iwamoto immediately goes on the offense. From that point, we get a big escalation in moves. We get dueling suplexes, a Blue Destiny from Suzuki, a sloppy STO on the apron from Iwamoto, two Tombstone Piledrivers from Suzuki and multiple Koko no Geijutsus from Iwamoto with the last consecutive two used to pin Suzuki. This was Iwamoto’s second defense of this title reign. I had a weird reaction to this match. On the one hand, I thought this had a great first build and first half. SUWAMA and Okabayashi were the standouts. SUWAMA had some awesome offensive moments and comebacks from being beaten down. Okabayshi also spent probably most of the time in the ring on his team and was also took a beating and sold it superbly. Now where I thought the match fell flat compared to their match in January was the end. It came down to Ishikawa and Okabayashi. I was expecting a hot finish between these two wrestlers but it turned out that Ishikawa dominated with some knees and then pinned Okabayashi with the Giant Slam. The champions fall in their second defense. I had been anticipating this match since January where Nomura would get on the mic after matches even though he was still teaming with Miyahara in Nextream at the time. 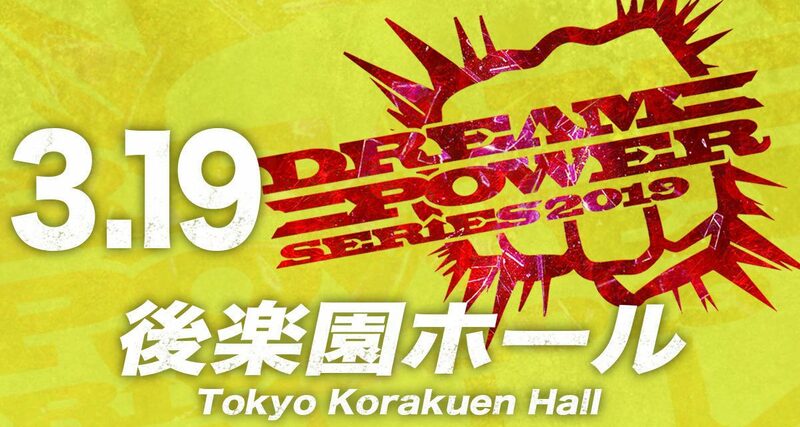 I’m also going to take a victory lap because I speculated a short tour like Dream Power Series right before the Champion Carnival would be ideal for Nomura’s first shot at the Triple Crown. Both wrestlers played their parts to perfection. Nomura got his fair share of offense on Miyahara including several near falls that ended at 2.9. However, it was not one of those performances where the young guy overwhelms the veteran until the end where the veteran manages a comeback by outsmarting his opponent. Also, Nomura has really improved his offense over the past couple of months including adding a Northern Lights Bomb to his arsenal. Miyahara put on another incredible performance. Miyahara eexudedconfidence but never got too cocky. Nomura had been victorious in a number of multi-man tags over Miyahara and his partners throughout the tour leading up to this match. He knew Nomura was hungry and could not be underestimated. I lost count of the number of near falls in the closing stretch. But it didn’t quite reach the level where I thought I was over the top. It helped to establish that Nomura could hang at the top. While Miyahara wasn’t spamming the Blackout knee quite on some of the levels he has in the past, he ignored Nomura working over the leg, hitting two Blackouts immediately after selling a splash from Nomura on to his knee. This was the most glaring issue with the match. Miyahara had plently of great facial expressions that he didn’t go over the top with, however. This show drew 1,615 to Korakuen Hall, which was their biggest attendance there since the final night of the 2018 Real World Tag League in December. What makes that number even more impressive is that it was Triple Crown match against a first-time challenger. This was a star making performance for Nomura. He showed he could hang at the top of the card and put on an excellent match with one of the best wrestlers in the world. Expect him to get some big wins in the Champion Carnival and be in contention to make the finals going into the final few nights of the tournaments. While the undercard was weaker then some recent big shows, all of the title matches are a must watch if you regularly watch All Japan, and the main event is a must watch if you love pro-wrestling. 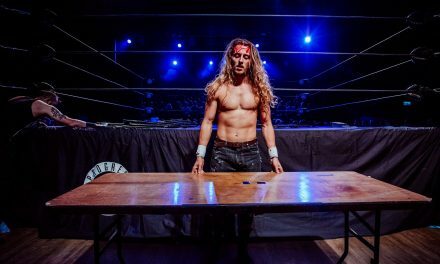 After the way some of the matches ended tonight, I’m still expecting Jake Lee to win the Champion Carnival, though he has only slightly improved his standing in my eyes. The booking pattern suggest that Okabayashi will get his win back against Ishikawa since they are in the same block and he may even get a win over Miyahara to set up a challenger for the Triple Crown coming out of the tournament. Lee will then pin Okabayashi in the finals to get his win back after being pinned by the Strong BJ member in the February World Tag Championship match. And finally, as we are close to the end of the first quarter of the year, I have no qualms in saying Kento Miyahara is my Wrestler of the Year so far. His Triple Crown defense against KAI is tied for my number one match so far this year, his defense against Suwama was incredible and his performance in this show was yet another phenomenal performance. And as someone that has watched every show that has made AJPW TV this year, I must say that even when the undercard is bland on small spot shows, the multi-man tag main events that Miyahara is in are regularly in the ***1/2 range with some even hitting ****. Miyahara also has crowds that are often quiet on the undercards of the smaller shows greatly turning up the noise for those main events and they’re eating out of the palm of his hand.